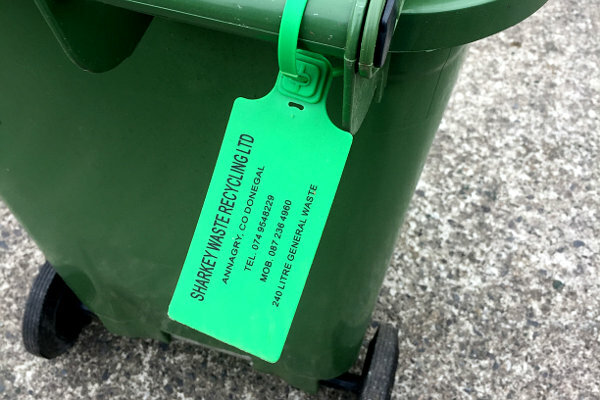 Green General Waste Tags to can be purchased for €12.50 per tag. Blue Recycle Tags can be purchased for €7.00 per tag. 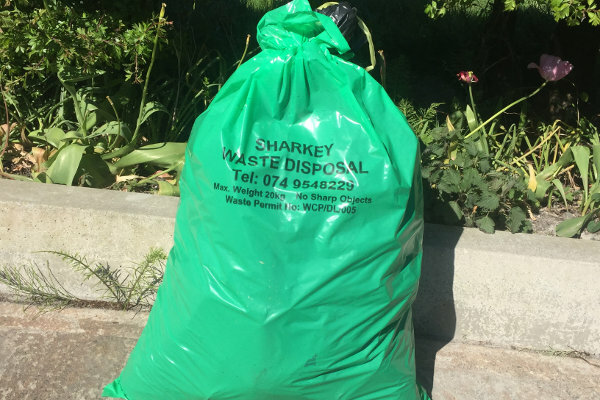 Green General Waste Bags can be purchased for €6.00 per bag. 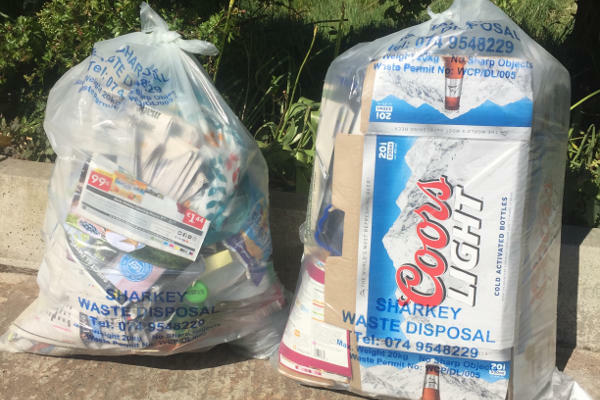 Clear Recycle Bags can be purchased for €4.00 per bag. 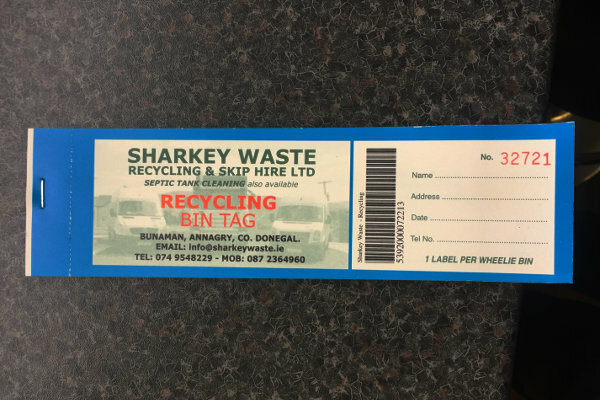 Sharkey Waste Bags and Sharkey Waste Tags can be purchased at the following participating outlets in Donegal.